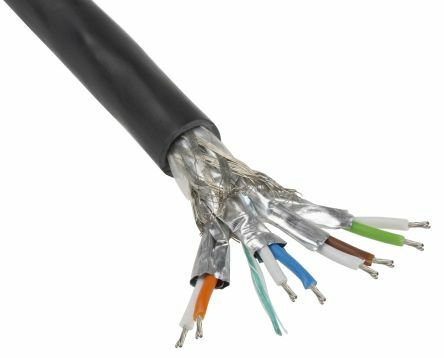 An oil-resistant Ethernet cabling solution from the HARTING Ha-vis Etherail range, designed for installation within and outside rail vehicles and buses. · Flame retardant· Heat resistant· UV resistant· Halogen free. Cat. 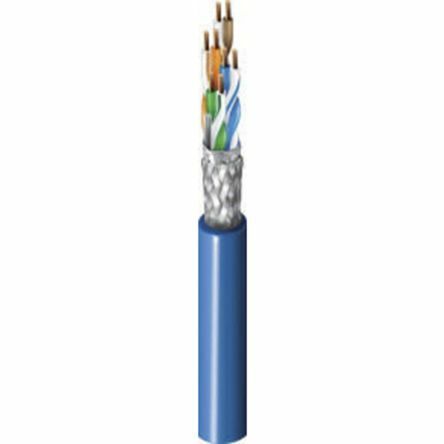 7A (1200MHz), 4-Pair, S/FTP shielded, Premise Horizontal Cable, 23 AWG solid bare copper conductors, Foam Polyolefin insulation, each pair with Beldfoil® shield, overall tinned copper braid shield (30% coverage), LSZH jacket.